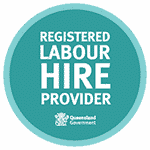 Contact Us - Zelda Recruitment & Job Agency | Brisbane | The best jobs in Queensland. Our team at Zelda would love to hear from you. After 17 fab years on level 10 in the Christie Centre we are on the move!! We are currently packing our boxes for our big move. 3 floors down!! So, if you are popping in, just call first to check where we are! Coffee is on us! Flick us an email talentzelda.com.au. Or in the words of iconic Blondie “Call me, call me anytime, call me”. Well, actually call us on 07 3229 4999 between 8am – 5pm and we can chat.